Su-35 and Su-30SM are also among the leading contenders. The MiG-35 is the favourite to win the recently announced tender for 8 multi-role fighters for the Bangladesh Air Force, the official representative of the Centre for Analysis of World Arms Trade (CAWAT) told RIA Novosti on Mar. 3. Russia’s Su-35, MiG-35 and Su-30SM are the leading contenders in the tender, the CAWAT official said. The MiG-35 is the only Russian platform equipped with an active electronically-scanned array (AESA) radar, he added. The Bangladeshi Air Force already has Russian MiG-29S fighters in operation. Russia also hopes that an Indian tender for the purchase of Medium Multi-Role Combat Aircraft (MMRCA) will be relaunched, and that India would consider buying the latest MiG-35 fighter jet. The MiG-35, a 4++ generation multipurpose fighter, is an advanced version of the MiG-29K/KUB and MiG-29M/M2 combat aircraft. It is designed to destroy aircraft as well as moving and stationary ground and surface targets in any weather condition. 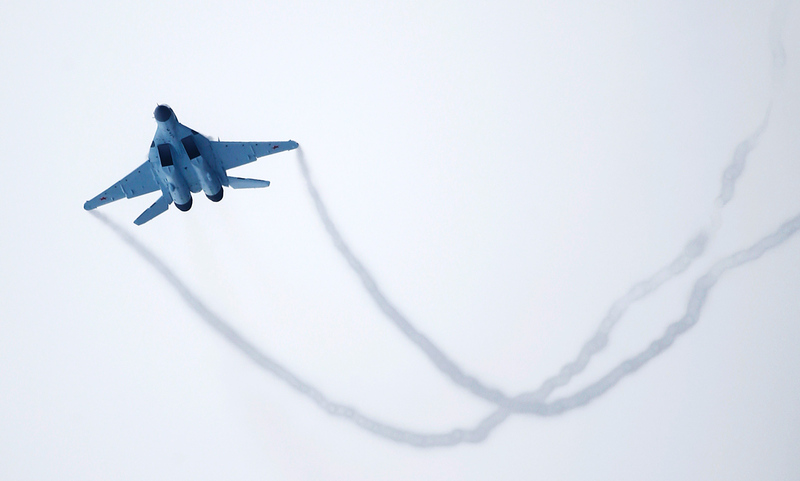 The MiG-35 was officially unveiled on Jan. 27 at the Lukhovitsy plant of RAC MiG, situated 140 km southeast of Moscow.